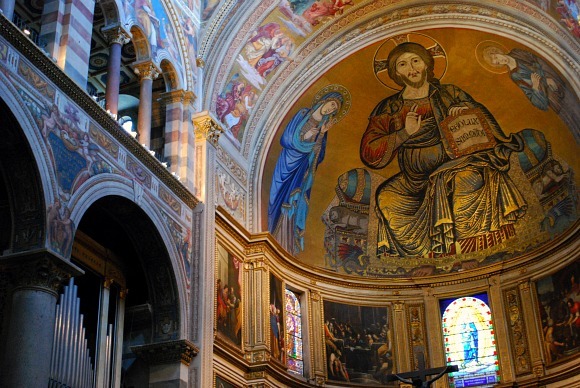 This is one of the most attractive cathedrals we’ve ever visited! You might be tempted to skip the ticket price for going in and just view it from the outside, but don’t. The painted walls and ceilings are just stunning and there’s a Venetian feel to the little columns near windows. 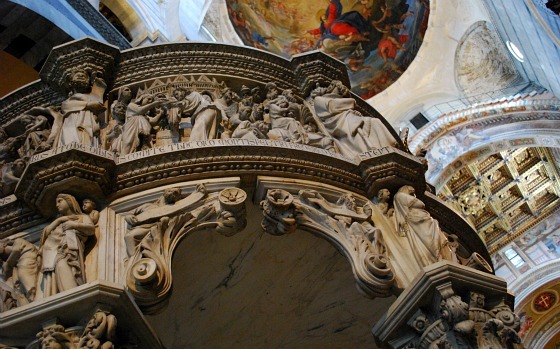 The pulpit, which dates back to 1302, has to be seen to be believed too. It’s a huge stone structure with giant carved legs supporting the preaching platform. Look at the carvings, and you’ll find they depict New Testament scenes. This is an extract from our free Pisa City Guide. 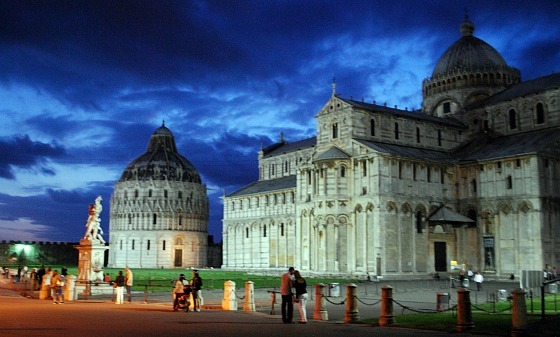 Busses 1, 3 or 11 will get you to the Piazza dei Miracoli from Pisa Centrale station.